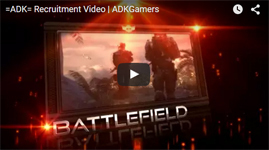 Despite the age of the game, it has grown some popularity within our community playerbase, therefore we have decided to make it an ADK sponsored section. This is a prime opportunity to get back into the fray if you haven't played in a while. In GTA Online, we have a crew dedicated to CEO/MC businesses and other means of money making. We are always looking for people who enjoy helping others and making money themselves whether it be in freemode or missions/heists. The majority of our sessions will be dedicated to grinding. Our section will also be holding organised events sometime in the near future such as heist nights, races, and mission playlists to name a few. If you wish to join our in-game crew or become part of the section staff, please message myself or CaGregorio and we can get you situated. Future posts are to include crew expectations, common etiquette, starter/advanced guides, and more. At the moment, please follow all =ADK= rules and bylaws until we get a rules post up. Good luck and hope to see you in the streets of Los Santos! It started June 12th with following bread crumbs to an unregistered comms beacon. The beacon was set to every hour repeat a message 3 times. The first message was a NATO Phonetic message of a system name of Pleiades Sector OI-T c3-7, once there Ed landed at Orcus Crag. There a message from Professor Ishmael Palin was received informing him of a hypothesis he needed to prove about the unknown ships which started a 24 hour Community Goal for Unknown ship scans and Unknown wake scans. On June 13th with the second live stream, Ed received a message from Federal Security Agents. After tough talk of severe punishment, the Federals needed his help, the ship carrying the data logs that were intercepted on their way to Prof. Palin had gone dark. A single transmission made it out but it was fragmented and garbled. It described an attack and a location unclear. With the help of Elite's brightest they figured out that the location of the lost ships were in HIP 17044. Once there they flew to the second planet from the star and target the Asterope system and flew 11000LS in that direction. A distress call was found and once one dropped in on the signal they found them. Not all was well, the ships were completely disabled, totaling 2 Farragut class battle cruisers, 5 Federal Corvettes, 7 Federal Dropships, 7 Federal Assault Ships and 15 F63 Condors. All scored with mysterious green substances. Among the carnage was a comms beacon like the one found in Pleiades Sector OI-T c3-7, half past the hour, it repeated a simple but haunting message, Tango-Hotel-Alpha-Romeo-Gulf-Oscar-India-Delta--Romeo-Echo-Tango-Uniform-Romeo-November. Frontier has gone to say that 2.4 will heavily deal with narrative and interaction with the Thargoids especially. It will also be released over the course of months and segmented to fit the narrative. Still little is known in full detail but Frontier has stated that it is not to be disrespectful but they don't want to spoil what they have in store for us and given we are an extremely resourceful and smart community we would crack any subtlety they would use to tell us. As for release time, it was said to be Q 3 of this year, which ranges from July to September. I personally predict late July or mid-August but only time will tell. Fly Safe CMDRs and Keep Your Weapons Primed. I am taking votes on if you the players would like to start building more lore behind ADK's in Elite Dangerous and start becoming a part of the game so to speak. The first thing I was thinking of doing is putting in a Galnet (in-game news feed) article submission on the Frontier Forums of ADK seceding from the Federation and becoming independent. A meeting in discord can be held to further discuss this idea or future ideas if you guys are interested. #1) We are a bounty hunting guild based in Saktsak and are tired of the niche contract market that the Federation binds us to and in order to branch and build our legally questionable enterprise, we must cut ties and leave the Federation's rule. #2) We are a police fleet based in Saktsak that is tired of red tape that Federal jurisdiction has. And the Federation is backwards and corrupt which hurts innocent people and by leaving we would be more of a vigilante group that protects systems in our area from the criminal element. #3) We are a small section of the Federal Navy that is tired of the nonsense proxy war with the Empire and we are defecting to pour more efforts towards helping the common people and keeping their homes safe. Feel free to post your own ideas or if you have any questions feel free to ask. This is an open discussion to really get all of you, the players involved in our story.